Many United Methodists were surprised to learn that it is possible to file complaints against a lay member of the church for disobedience to the Discipline, a course of action that could lead to a church trial for a lay member. 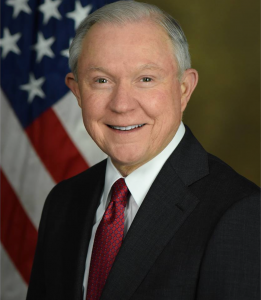 Sessions is a lay member of Ashland Place UM Church in Mobile, Alabama, and attends Clarendon UM Church in Arlington, Virginia. Filing formal complaints against a lay member of the church is an extremely rare occurrence. I was involved in one situation where a complaint was filed, but the member left the church before it could be forwarded on to a trial process. That is what normally happens when there is a member who is alleged to have done something serious enough to warrant a complaint. According to CNN, “Wines told CNN she had a ‘long and excellent’ private conversation with Sessions earlier this week. The attorney general is technically a member of a United Methodist congregation in Mobile, Alabama, but has attended services at the church in Clarendon since his days as a senator. Wines called him a ‘very regular guest. '” Any further processing of the complaint will be up to Sessions’ pastor in Mobile. It is hard to conceive of a more emotionally volatile hot-button issue than the zero tolerance border policy – even for those who press the case that children are often used by human traffickers in order to enter the country illegally. In a church trial, however, it could be challenging to prove that Sessions is guilty of child abuse or immorality, depending upon the facts that could be established. What signifies “oppression” to one person might be interpreted by another as merely the strict enforcement of the law. Doubly difficult could be making the case of racial discrimination, based on policies established by the Justice Department. For example, the “particular focus on those perceived as Muslim or LatinX” could be due to the demographic makeup of those attempting to illegally cross the border. While it garnered a good deal of analysis or protest from Christian commentators – both on the right and the left, the most difficult charge to prove is that Sessions’ use of Romans 13 constitutes “dissemination of doctrines contrary to the standards of doctrine” of our church. Our doctrinal standards include the Articles of Religion, the Confession of Faith, and Wesley’s Standard Sermons and Notes on the New Testament. The 1939 General Conference enacted legislation interpreting Article XXIII of the Articles of Religion, stating “It is the duty of all Christians, and especially of all Christian ministers, to observe and obey the laws and commands of the governing or supreme authority of the country of which they are citizens … and to use all laudable means to encourage and enjoin obedience to the powers that be” (2016 Book of Discipline, p. 72). Sessions’ supporters would contend that is exactly what the Attorney General was attempting to do, and it can be argued that he was fulfilling the doctrinal standards rather than contradicting them. Is it incumbent upon Christians to obey unjust civil laws? Ethicists differ on that issue, but I would say there is a strong biblical case to be made for not obeying civil laws that contradict or restrict our ability to live out the Gospel. In Acts 4:19-20 Peter places obedience to God above obedience to human authority. At the same time, I Peter 2:13-14 commands that we “submit [our]selves for the Lord’s sake to every authority instituted among men.” As with many Christian ethical dilemmas, there is a balance required here, one that involves each person’s (and the church’s) prudential judgment, and upon which heartfelt and sincere Christians can disagree. Are the immigration policies of our country appropriate and morally sound? There is again a balance between helping the “widow and orphan,” the refugee and the poor, while at the same time fulfilling the responsibility to preserve and protect the United States. While Christians can (and do) disagree about where that balance lies, it is most certainly appropriate for the church to lift up principles about how we are to treat others with love and respect, showing love to neighbor, against which specific policies can be measured. And we ought to learn all we can about the challenges of legal and illegal immigration, so as to inform our judgment about what the right course is to take. United Methodism attracts Republicans, Democrats, and Independents, those on the left, right, and middle. The church ought not to be identified exclusively with one political perspective, whether liberal or conservative. Nor should the church be used as a pawn in a political disagreement. In the end, these questions seem best left to the political process to sort through. We can express our opinions through advocacy and through the ballot box. In the meantime, we can accept that Christians will have different opinions and judgments on these political matters. A correction sent to Perspective readers makes clear that it was erroneously stated that the complaint had been signed by Bishops Graves and Lewis, along with the two superintendents involved (Revs. Bishop and Abbot). They did not sign the complaint, but were sent a copy of the complaint. Good News was informed by Bishop Graves that it would have been improper for either bishop to have signed the complaint because of their involvement in the process. We regret the error and apologize for the incorrect information. This is simply another variation on Congresswoman Maxine Waters policy of harassing public officials where they eat, shop and sleep. Now we have added “and where they worship”. Be assured that the motivation is not to correct AG Sessions. The motivation is simply the anger of the left which has lost control of all three branches of our government and is simply grasping at whatever sticks they can lay their hands on. Sessions can handle this. Can our UMC connection withstand it? Maybe not. If the policy has been rescinded by the Trump Administration, the complaint against the lay member in question has been rendered a moot point, that is of course unless the “ax to grind” has been sharpened for someones neck other than just the good attorney general’s! Perhaps all Methodist bishops should now go on record and define the political crimes within their jurisdictions that will result in laity trials. Methodists who are members of the armed forces, elected politicians, pro-choice medical professionals and members of law enforcement within any jurisdiction could then evaluate the personal risks of seeking Christ as members of the Methodist connection. All Christians, regardless of their secular politics, should be focused on the US Congress to stop the political gaming and get on with their responsibility of fixing our long broken immigration system. It is the height of hypocrisy that a number of people mostly in the Western Jurisdiction who routinely celebrate violating the book of discipline now file a complaint against a lay member for violating the book of discipline. What however is worse is that members and clergy of the church are weaponizing the church to advance secular politics. The complaints should be dismissed immediately. This is a very bad precedent to set. Instead of separation of church and state, this is now church supporting one side of the government. Jesus was a carpenter, not a paper pushing lawyer. Jesus was poor, Jesus said whatever you do to the least of my people, you do unto me. I have known several Mexican Americans named Jesus in addition to the one we all claim to know. It’s better to welcome the stranger into the land and if later deport him humanely than to take his or her children away as soon as they arrive. Trump and Sessions don’t understand the border. In Texas, Mexicans and Texians have lived side by side for centuries and many have relatives on both sides of the Rio Grande. Most Hispanics are Christian in belief. Due to the inquisition in Spain, many have Sephardic Jewish ancestry. Jesus could literally be a blood relative of some of these immigrants. I would not want to be picking on the kin of Jesus and Jeff Sessions is possibly doing that. The church’s opinion is really the least of his concerns. He has an opportunity to repent and correct the problem because the church called him out on it. He ought to be grateful that the UMC is helping him avoid the words “depart from me for I know you not” which is a possible outcome from unjust actions toward the immigrants. GW Bush was from Texas and he is also a Methodist. He understood the cross cultural exchange that Mexico and Texas have. He was not perfect, but understood the border much better than a man from Alabama and New York. The Deep South is not the Southwest.